Visions of Jesus Christ.com - Helena Pelczar - Stigmatist. 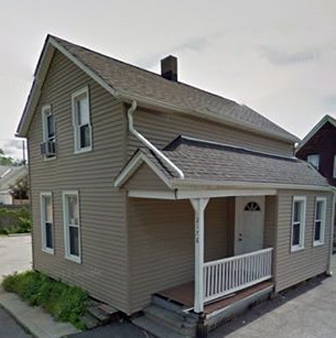 Above images are of Helena Pelczar, the home she lived in and her grave both in Ohio. In such a cottage in the village Korczyn, we can say that the way the Savior of beasts, at Christmas in 1888, born Helena Pelczar. There was another child of poor farmers. With several years of ill. On her belly formed a painful ulcer does not give a treat. Helena's father then went to the church in Nowa Wies to apply a patch to the miraculous image of Our Lady. The house was placed on the abdomen Helena him and the girl recovered. It was the first miraculous event in her life. Living in poverty and no opportunity to feed all the children in the family Pelczarów became the reason that Helen had to go quickly to the service of the rich hosts. In addition to dealing with animals, working at home and in the field. Piety girls were all striking. Her favorite devotions were Stations of the Cross and the Rosary, and Fridays always fasted. First time "strange disease", they said the people, Helena experienced on Easter Sunday in 1910. For three days and nights she was unconscious. Asked what then happened to her, she said, she saw the Lord Jesus, His Mother, the angels and saints. Returning to the state of consciousness felt physical pain. With 24 years in 1913 Helena as many of our compatriots went "bread" to America. There resides in Cleveland with his aunt. In brief, returned a "strange disease", which in some months even lasted ten days. As he passed the state Helena as a completely healthy returning immediately to his duties. In December of 1917 for the first time on her hands and feet showed up pink signs, and the right side became livid. In these places also felt terrible pain. They called the doctor, who said that from the point of view of medicine can not explain these strange characters painful or her illness. In Lent the following year during the next relapse "strange disease" Helena had an epiphany of the Lord Jesus, who appeared to her as the King of burning the heart and thus spoke to her: "I will give you the grace of knowing sinners for whom I want you endured the suffering that on I will scatter you. I'll give you the sorrow which I myself suffered the Passion cross, and you enduring it all with love, you offer your suffering for sinners that He will show you. "In the farewell Lord Jesus blessed Helena and disappeared in brightness. Then also the first time opened stigmata. How eyewitnesses describe "First open wound in his right hand and right leg. was only a few minutes open and bleeding wound in his left hand and left leg. opened up a wound on the right side of Helena, but only in the afternoon at less more third party. March 22, 1918, Helena was lying in bed and suffered much. Then survived a harrowing vision of the Blessed Mother. Mary holding Baby Jesus. However, the body of the baby Jesus was terribly wounded and bleeding. Mother of God conquered pain, crying, said to Helen: "See my daughter here as sinners celebrate with my Son!" Stygmatyczka often had a vision of the Passion, but some did not understand the vision, the Lord Jesus himself explained the meaning of these mystical images. Jesus hurt especially the sins of unbelief in His Divine presence in the Blessed Sacrament. 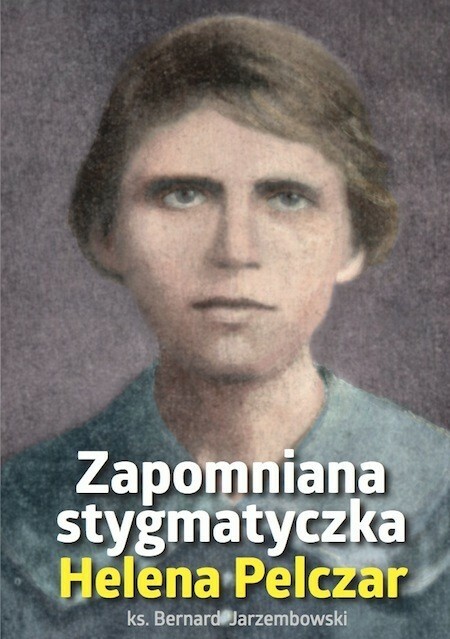 Stygmatyczka was simple and barely literate person. She had no theological education. All the mysteries of the Catholic faith that is in their visions, or cautions received from the Lord Jesus. Helena was marked by great reverence to the Sacred Heart of Jesus. With constantly before the eyes of the soul view wounded Heart of Jesus often said: "How can sinners be so cruel to the Lord Jesus, after His life for them gave!" Helena Pelczar also received a prophetic vision about our country. In Poland, after she left the ashes of his mother and father and several siblings. Living in America, she always Pole and only after the Polish thought, spoke and prayed. In 1918 she had a vision of the resurrected homeland to which attacked many enemy troops. She saw the Polish army, which led to fighting young priest. She saw also the Mother of God, that his coat to shield Poles and enemies, who saw this miracle began to flee in panic. This mystical vision presented Polish victory over the Bolsheviks of 1920, commonly referred to as the "Miracle on the Vistula", a young priest was Father Ignacy Skorupka. Like all saintly persons Helena loved Our Lady and the Rosary. It belonged to the Rosary. Seen her with a rosary at home, on the street, especially in the church. So it was characterized after her death. "Helen was an honorable and exemplary member. She took part in processions and adoration of the Blessed Sacrament. Kneeling for hours as long as her health allowed. She attended regular meetings. She lived in harmony with others. She was quiet and gentle talks. Behind it all was a very respected. " Mary Helen reciprocated by giving her a beautiful vision: appeared to her, along with two angels. One of them was holding a golden crown with diamonds and the other a crown of thorns. Helena was second to select one of them. I chose a crown of thorns. In the next vision of Our Lady came from her deceased mother, years ago, who encouraged her to humble acceptance of suffering. Virgin and in reward for that Helena has chosen a crown of thorns, showed her a beautiful gold and said: "Here's crown, which will be crowned in Heaven"
Helena also had a special love for your Guardian Angel. He was her constant companion.With numerous stories can be concluded that stygmatyczka was with him in very frequent communication. He encouraged her to compassion and mercy for sinners and the poor souls czyścowych. The vision showed her suffering in Purgatory. Once seen in the heat of the soul of a priest. Passion's were terrible. The priest, looking at Helena, he begged her for help. Stygmatyczka asked him: "Why, Father, suffer so terribly?" . And he answered: "Because I was careless in the confessional." Helena their sufferings and prayers freed the souls from purgatory crowds. And for God's permission souls in Purgatory came to her to ask for prayer. Once, when stygmatyczka lying in bed, she stood in front of her sister, her best friend died Wenancja and pointing at the crucifix said: "Helena, On Wounds of Jesus please pray for me every Friday for the Five Wounds of Jesus, I was released from the torments czyścowych, because I suffer so much. " Helena saw purgatory in all its horror so days and nights praying for deliverance sister. One day while in church again saw deceased sister, who showed her burned hand and said: "See how I suffer!" "And what sister so long and hard to suffer?" asked Helena. What's sister Wenancja raised my eyes up, sighed and said, "For the curiosity of things of the world, tell it to others sisters!" And in a moment disappeared. And this poor soul through his sufferings and prayers Helena freed from purgatory. 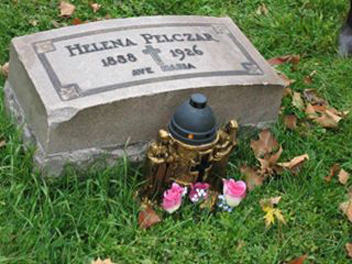 It is impossible in a short article to describe all the mystical graces she received Helena Pelczar. For this reason, it chose the path of suffering for sinners and the souls in Purgatory was very generously gifted them. Last months of his life were for Helena real way of the cross. She received anything but suffering with patience and nothing complained. She died on 27 April 1926 year. "When I get to Heaven, it's all I pray." That was one of the last of her words. Let us ask, and we pray that saintly Pole, one of the few stygmatyczek of our homeland. Also [read/view] a 1936 news article on people reporting hearing singing by Helena Pelczar's grave.